AsiaARES 2013, which will be held in conjunction with ICT-Eurasia 2013, will be held at the Gadjah Mada University, Yogyakarta at the Kompleks Fakultas MIPA UGM (north). The easiest way to get to the conference venue is to take a taxi. We advise to take a “blue bird” taxi, if available. It will cost you less than 10 EUR (less than 125.000 IDR) to get from the airport to the university. 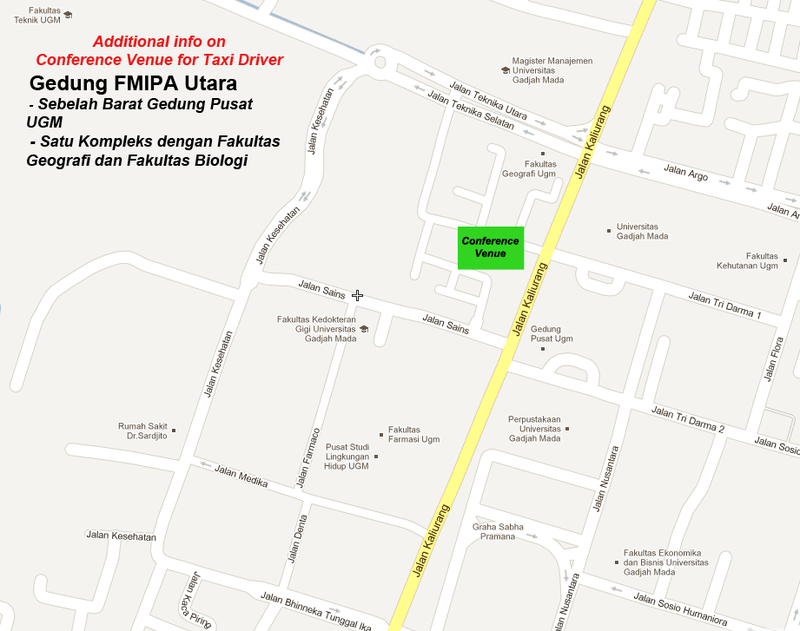 Please find here some further information about the conference venue as well as some general information about Yogyakarta (pfd for printing).